Thaye Dorje, His Holiness the 17th Gyalwa Karmapa, will preside over the annual Kagyu Monlam 2015 from 15 Dec to 21 Dec. As the head of the Karma Kagyu lineage, Karmapa will lead the ceremonies, assisted by other high lamas of the Karma Kagyu and other Kagyu schools. Monastic and lay students from India and around the world will come together at Bodh Gaya – the place of the Buddha’s enlightenment – for a week of teachings, meditations, and prayers. See the page about the Kagyu Monlam for more information about why the Monlam is such a special event. 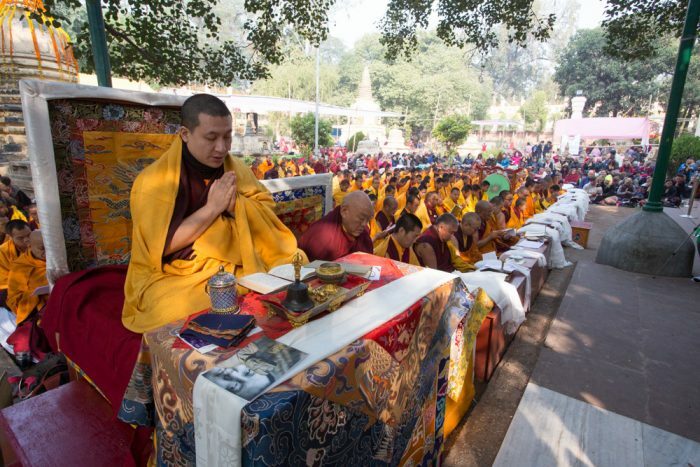 See the Kagyu Monlam 2015 page on the kagyumonlamchenmo.org website for more details about this year’s event.